Program Goals: This training program is designed to develop and improve a runner’s ability to complete 13.1 miles. While the base training program enables success for those new to the distance, experienced runners will be challenged with program adaptations to help them meet their individual objectives. Our team of pace coaches ensures personal attention resulting in great experiences and accomplishments. Prerequisites: All participants must be MCRRC members. The program works well for runners currently able to run 6 miles continuously at a 13:00 pace or faster. For those who may not be able to maintain that pace, a portion of the group uses a run/walk method and trains based on both time and mileage (e.g., in one workout, run/walk participants may run 10 miles or 2 hours, whichever ends first). The course for the goal race of the program, the Parks Half Marathon, crosses many roads and requires runners to average a 12:30 min/mile pace to stay ahead of the re-opening of the roads. Cost/Premium Info: The cost of the program is $80. Runners receive a technical shirt for participation. Race entry fee for the Parks Half Marathon is not included in the price of registration; runners must register separately. A discount code for entry will be given to program participants during the program. The program is limited to 200 participants. Background: Larry is a Road Runners Club of America (RRCA) certified running coach who has been running for nearly 30 years. He has 25 years of experience teaching and coaching athletic activities, including instructing swimming and karate and coaching soccer and running. In addition to directing this program, Larry has helped coach MCRRC’s 5K, 10K and Winter Trails programs. He has recently realized that he no longer wants to run ultramarathon distances, and he is thrilled that this epiphany occurred prior to this winter’s swamp fest (AKA Seneca Creek Greenway Trail 50K). In his non-running time, he is a Program Manager for a Systems Engineering and Integration company, husband to a non-running wife and father to two millennial daughters. Background: Kristen started running as a way to combat severe asthma and GERD in 2014. After 20 years practicing ballet, Kristen discovered she was much better at running and has run everything from 1 to 50 mile races. She has over 10 years of teaching and training experience, including teaching ballet, tutoring math and statistics, and pace coaching. Kristen currently runs for MCRRC’s Competitive Racing team. In her non-running life, Kristen is Associate Director in Technology for a financial regulator, mom to her trail-loving lab and lady-in-waiting to her cat. Pace Group Information: Prior to the first workout, runners will be placed in pace groups with comparable runners, based on runner-provided pacing information. Each group will be led by a Pace Coach. Workouts: Tuesday Evenings at 6:45 PM @ Montgomery College Track, 51 Mannakee Street, Rockville, MD. Saturdays 7:00 AM Long Runs – Various Locations. Volunteer Requirement: MCRRC is a volunteer organization. The staff for this and all other training programs, as well as that of all MCRRC races, are volunteers. 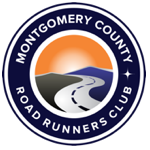 For the continued success of the club, participants in this program are asked to volunteer for at least one club-sponsored race or event. Disclaimer: The program director reserves the right to refuse admission to, or dismiss from, the program any individual that he believes cannot safely run the required distances, is unable to meet the demands of the training, or is disruptive to other participants. The program director also reserves the right to limit the number of participants in the overall program or in individual pace groups. MCRRC has a No Refund policy. Program registration fees cannot be refunded due to injury, schedule conflict or any other reason.